If you asked two photographers to shoot a watermelon, you’d get two wildly different photos. Every photographer has their preferred approach to lighting, composition, mood, angle, and perspective. How do you develop your photography style? As professional photographers, we understand how important having a photography style is. Developing a signature style helps future clients hire us for the kinds of jobs that we naturally have an affinity towards. 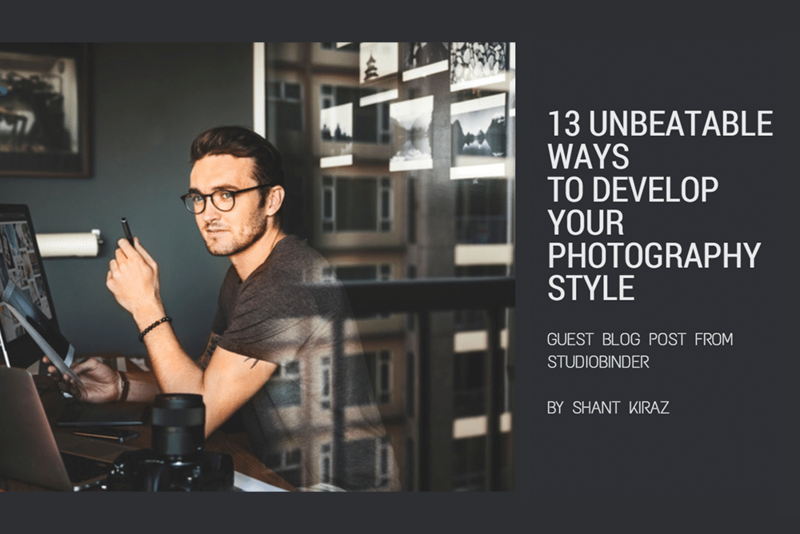 In this post, we’ll be looking at how to take your photography style to the next level. 1. Good artists copy; great artists steal. The fastest way to develop your signature style is by stealing the visual styles of other great artists. The famous Picasso quote cuts to the heart of it: Great artists steal. Stealing is common across all forms of art, and especially in photography. You can spend days, weeks, months looking at other photographer’s visual style, but how do you apply it? This is an essential tool in the creative process and will help you jumpstart where your natural interests lie. First, figure out what type of shoot you’re going for. For example, let’s say you were curious about lighting techniques used with colored gels in a studio setting. Just head to Pinterest and search for a specific type. Pro Tip: If you’re working on a larger shoot, you can invite “Collaborators” to your Board. The benefit is that you can invite your Creative Director or Art Director to see the board and contribute as well. Next, you can easily turn your inspiration board into something more practical. Take your favorite image and try to reverse engineer it. Study where the lighting is coming from. Study the mood and composition. Then add your own personal twist to it. Throw in a fog machine. Get a fan. Do anything to add your personal touch to it. Whether you end up achieving the specific look or not really doesn’t really matter. The most important thing is that you experiment freely and get a little closer to a style you’re naturally geared towards. Photo editors look to hire photographers who have a clear visual style, but can also be flexible with subject matter. The quickest way to stifle growth is to say “no” to new experiences that you’re not familiar with. The goal is to remain flexible and open to taking on diverse commissions. This includes shooting a wedding, concerts, or even food. Becoming a versatile photographer and trying different things will help you discover new lighting techniques, interesting framing, and showcase your creativity in ways you may not initially expect. Give yourself an imaginary paid assignment to shoot something you normally never do, and put all your effort into it. Bake a cake and shoot it like you would for Bon Appetit. Take a stellar photo of a friend as if it were for for Vogue. Make a beer bottle look like a product shot for Heineken. It’s critical to treat all subject matters with the same level of seriousness. This will give you the pressure you needed to produce your best work. As a photographer, it’s critical to produce quality work consistently. The only way to achieve this is to shoot a lot. If you get hired for an assignment, your photo editor has to feel confident that you can consistently produce the same quality of work that is showcased in your portfolio. Otherwise, you’d be seen as a gamble. So, what’s the solution? According to Dr. Anders Ericsson, you’ll need 10,000 hours of deliberative practice to reach expert performance. This breaks down to 417 days. That’s a lot of days to deliberately hone your craft! A rather quick way to achieve this is by taking on a 365-day project. Make it a habit to shoot every single day for one-year. Spend as many hours as you can every single day and this will accelerate your growth in a fraction of the time. If 10,000 hours still sounds like a lot, at least dedicate 20 hours to master the basics. The truth is, the only way to develop your visual style, consistently, is to shoot as much as you can. Not everything you shoot is precious art that needs to go up on Instagram. For example, take a look at David Fincher who is known for taking 50+ shots per scene. Incredible work with a clear vision that can be produced on a consistent basis. Collaborating with other creatives is an excellent way to help you discover your voice and photography style. As an exercise, schedule a photoshoot around what you’re naturally interested in, and get others involved. For example, if you have an affinity for skateboarding, then organize a lifestyle shoot around that. Within seconds, you’ll find tons of models that are open to collaborate on Projects! Pro tip: When selecting Display options, be sure to select “Recently Updated” to find the most active users first. Just went through your photos and think you’ve got a great look. I’m testing with new models this week, let me know if you’d like to shoot together. 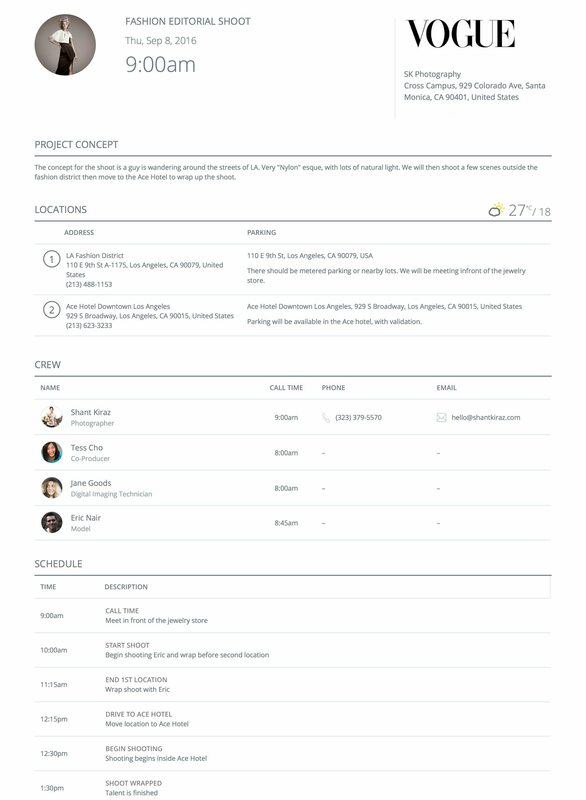 You can use this template as a baseline to find any additional crew, including wardrobe stylists, makeup artists, and more. The iPhone has come a long way in the world of photography. Freeing yourself from the technicals of photography could be just the thing you need to unlock your style. The scarcity of having a limited amount of shots in your film roll will make you a much more methodical photographer. The quality that these cameras offer is unparalleled dynamic range, and even on par with digital. You can buy 35mm cameras or Medium Format cameras for very cheap today from KEH, Adorama, or Ebay. Let’s face it, light painting can be a novelty, but the goal of this is to unlock your creativity with unfamiliar techniques. For example, take Picasso, arguably one of the greatest painters of the 21st century. Many people don’t know that he was also a photographer who experimented with light painting. Grab a flashlight and starting painting with light! It’s easy to forget that photographers are artists, not just camera operators. As artists, we should be capable to shift between mediums. In doing so, you can start to pinpoint the recurring formal, thematic, and stylistic decisions you consistently (perhaps subconsciously) lean towards. This is your voice. For example, take Nick Onken. He’s a lifestyle photographer that frequently shoots fashion and lifestyle. But he came from a graphic design background. The idea here is to not pigeonhole yourself into just taking photos. Experiment with other forms of expression, be it painting, typography, or anything else. As important as it is to find your voice in other forms of art, it’s just as critical to master the technicals of a camera until it becomes second-nature. Step 1: Throw away that silly camera manual. Step 3: Start shooting and figure it out. Seriously, don’t be afraid of breaking your camera or messing up the settings. You won’t. The importance of how light and shadow affects your subject is everything in photography. It’s also a critical component when it comes to creating your unique visual style. There’s no such thing as “bad” lighting, but understanding the fundamentals of light will open up a new world of stylistic decisions. Look at your hand. Figure out where the light source. What type of light source is it? What’s the intensity of the light, and how does it affect the shadows? Sure, everything has been done to death. What’s new? As photographers, we’re always looking to tap into our creativity to create original works of art. But how do you become more creative to tap into new ideas? The secret to creativity can be as simple as changing your environment. In other words, change your state of mind and you’ll your creativity will shine. Your photography style will ultimately continue to develop with time. No amount of reading or studying can speed it up. It’s an evolutionary process of doing it over and over and over again. As long as you’re open to change and experimentation, you’ll ultimately grow as an artist. My suggestion: Don’t stress about it too much. Just shoot constantly, try new techniques, and evaluate the results. What are some techniques that you’ve found to help you develop your unique style? Let us know in the comments.